Pearls are the most elegant, stylish and eternal accessories known to the fashion industry. Wearing pearls brings a touch of class and authority – it’s no wonder the Royals adore them! Over time we have noticed that pearls can be worn in a number of styles. With each generation of Royals, there have been ones that stuck to an elegant look and others that opted for a stylish twist. First. Strands of pearls were the favourite daytime jewellery of the Queen Mother. At some point the triple pearl necklace she often wore in her later years became her trademark. This necklace consisted of three stands of pearls joined together with a diamond clasp. Pearl strands look great almost all the time; wrapped around the neck these feminine gems bring out the charm and grace of a lady at its best. Second. 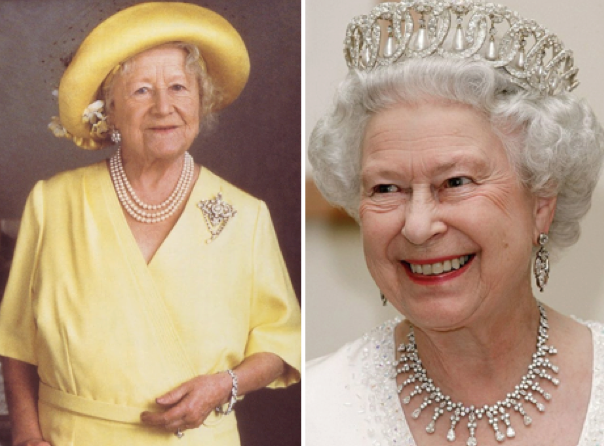 Queen Elizabeth II has been seen wearing the glorious Vladimir Tiara on numerous occasions. This iconic headgear has 15 intertwined diamond circles, strung together with a diamond ribbon on the top and hung with articulating pendant pearls. Wearing a pearl tiara is a fashion statement above all, perfect for special occasions like a milestone birthday, prom and also your wedding day. Third. 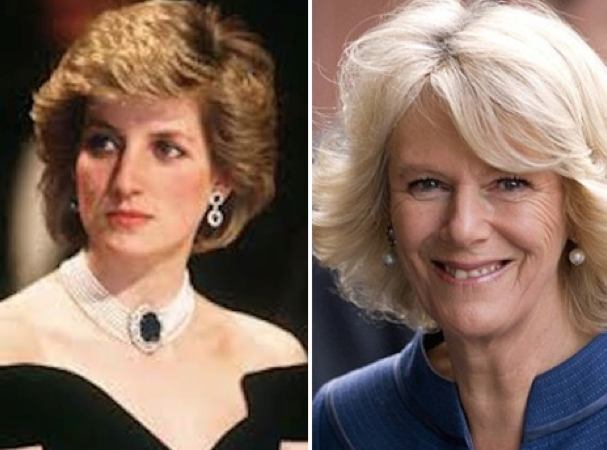 Lady Diana stunned the entire world with her famous seven strand pearl choker. On the center of this choker sat a large blue sapphire with two rows of diamonds. This sapphire was originally part of a brooch and given to the princess as a wedding gift. Everyone from celebrities to top fashion bloggers have been rocking pearl chokers this year, it’s clear they’re on the way back in! Fourth. Camilla, Duchess of Cornwall sports various pearl earrings frequently, but her favourite seem to be dangle drop pearl earrings. The precious round pearls hang from a detailed silver-toned disk and a part of her extensive collection of pearl jewellery. Pearl drop earrings are a must have in most women's wardrobe because they can flawlessly take any woman from work to a night out. Fifth. Princess Catherine, a royal who is frequently complimented on her remarkable fashion sense, has yet again impressed us. 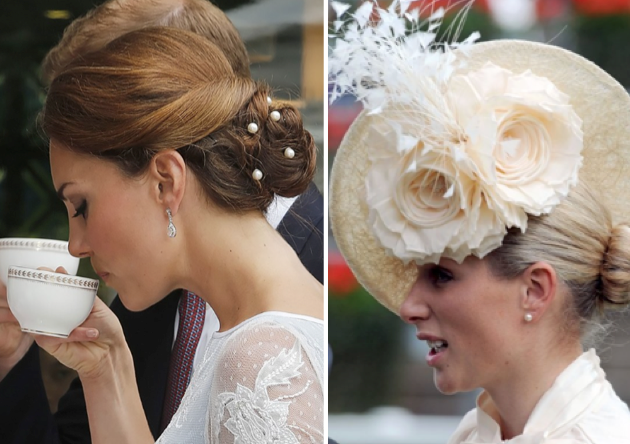 Catherine who is well known for her gorgeous locks, displayed ultimate chic in a knotted bun dotted with beautiful pearls. We recommend this elegant and ladylike use of pearls for soon to be brides; it sure is a style that you’ll look back at with pride and relief. Sixth. Zara Phillips, the eldest granddaughter of the queen has proven to have graceful fashion sense. She has been seen sporting a pair of classic pearl studs to various occasions –be it at cousin William’s wedding or a casual day at the horse races. Simple pearl studs are a staple piece of jewellery. If you have a cool skin tone - go for pure white, rose pink or silver. If you have a warm skin tone - opt for ivory, cream or gold.